Brandy with fluted roses Museum Quality Frame ~~ ready to hang! A graceful stillness hovers over a majestic mountain evening. The changing colors of the close of day and the breathless grandeur of a mountain cathedral are reflected in the peaceful waters of a quiet alpine lake. 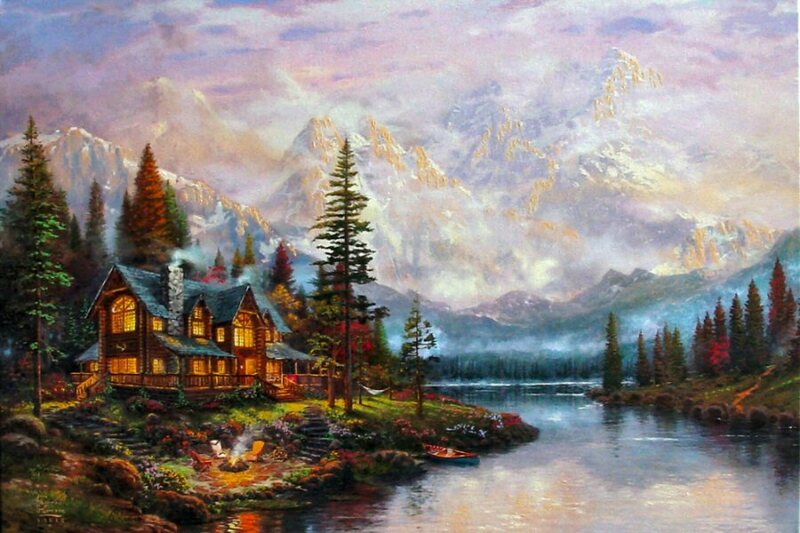 Touches of life abound - the warmth of home from a rustic mountain lodge. A lakeside campfire waiting for the arrival of great conversation and warm laughter. A family of deer delighting in the stillness. It's a place for inspiration and rest. A place for family, friendship and refreshing the soul. A perfect moment. 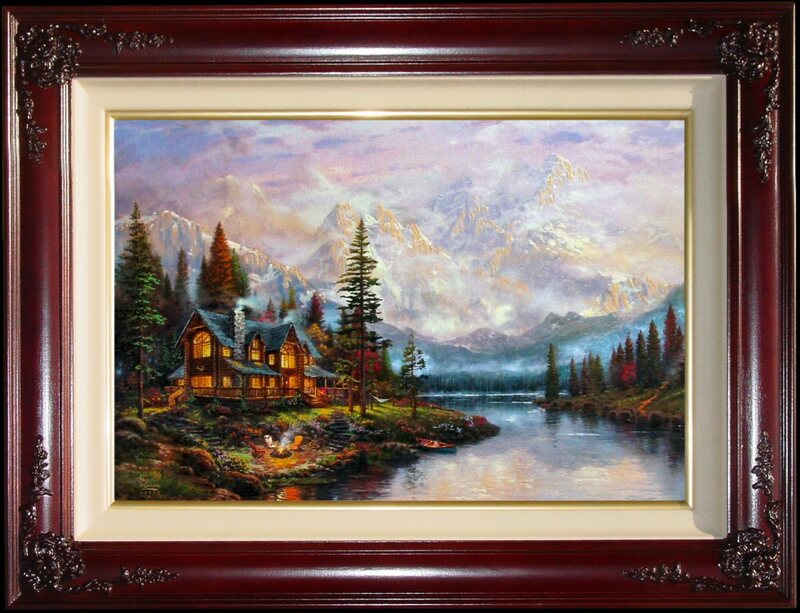 These are the moments and times that Thomas Kinkade envisioned and captured on canvas through his artwork. Moments so perfect that we wouldn't want to change a thing. Moments that catch us by surprise, stopping us in awe at the realization that we are experiencing something so perfect, it can't be improved upon. Moments so perfect they can only be a gift to us from the Creator himself. The Thomas Kinkade Vault is proud to release Perfect Moments I: Cathedral Mountain Lodge, where the grandeur of mountain cathedrals cast their reflections on a still mountain lake and remind us of the greatness of God, the marvelous simplicity of his creation and the perfect moments he paints for our lives.